If you’ve never heard of a site once called Silk Road, then you might be interested to know what it once was during the apex of the Bit Coin market. Ya know, Bitcoin, the “virtual” but vastly real currency generated by design and squandered through the internet, designed to bypass the international banking/monetary system. 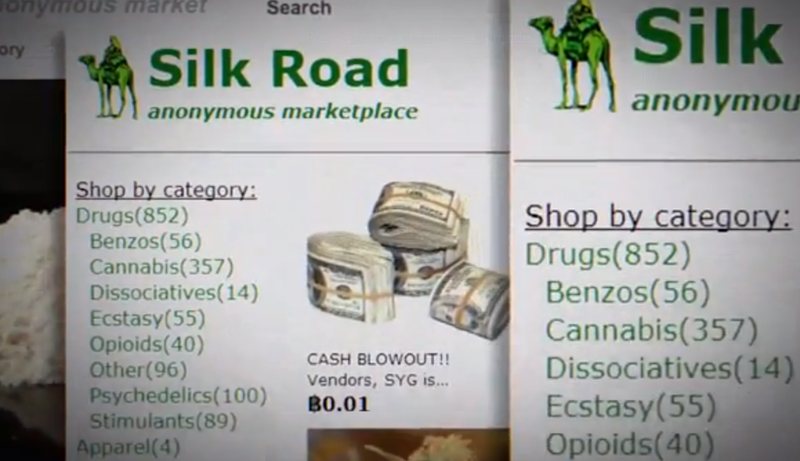 Silk Road was the premier anonymity-purchasing website devoted to all sorts of contraband purchasing, done discretely by many adventure seekers and a boat load of criminally minded businessmen. It was essentially a black market cavernous cesspool loaded with just about everything from drugs, weapons, and any item that breached the federal regs. It was all done in the similar fashion associated with the look and feel of the Craigslist website, and through the use of Bitcoin as its primary mode of currency, it kept every buyer and seller’s identity concealed. The Feds shut down the site. Arrests were made, and Silk Road was no more. The documentary Deep Web examines this black market phenomenon, and you won’t need any Bitcoin money to view it, but you will need the EPIX channel. ← Most insane Bud Light commercial ever- minus the whack DJ !